It’s beginning to look a lot like Christmas in my neighbourhood...October 31 rolled in and over the next few days from there we had about 6 inches of snow fall. In all likelihood, it’s here to stay. So, it’s definitely put me in more of a Christmas mood. Because of the demands of work, I’ve had to take a step back from being on the TCP design team for the time being, so it’s been months since I’ve had a chance to pick up these adorable stamps...today’s the day! 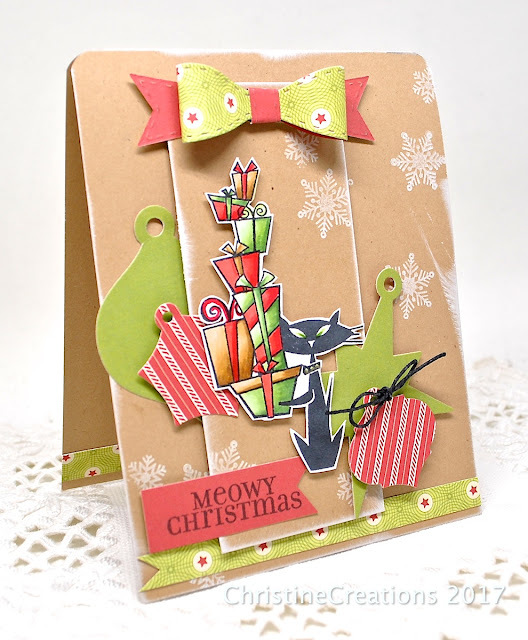 I pulled out TCP’s set The New Nice and stamped this snazzy kitty with a big stack of presents from a successful day of shopping...or wrapping! Colouring is done with Copics, and I added some sparkle to his collar to make him extra festive. I did a whole bunch of colouring one day last week and snapped quick shots along the way of my Copics - so it’s not the usual clear photo (and half of them are upside down! ), but I think you’ll get the idea. I love the colorful image grounded against the kraft background. Beautiful card Christine! So glad to see you playing with TCP! 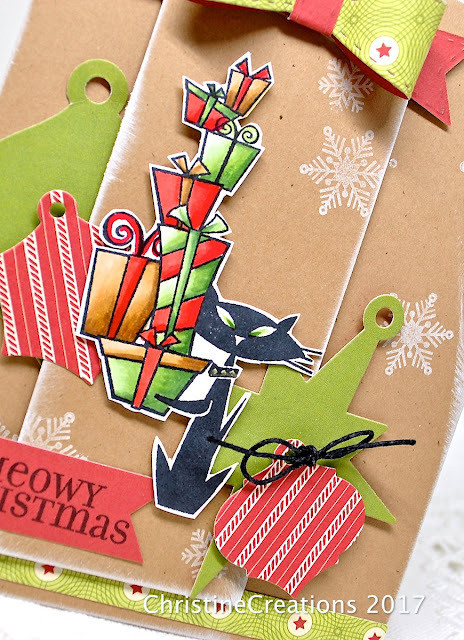 Such a cute, fun, happy, totally adorable Christmas card! Puts me right in the spirit. So glad to see this today, Christine! Christine, this is so adorable! I just love the cat and his stack of gifts, and what a fabulous layout with the kraft and the DP for the tags and bow! I love it! Hugs!